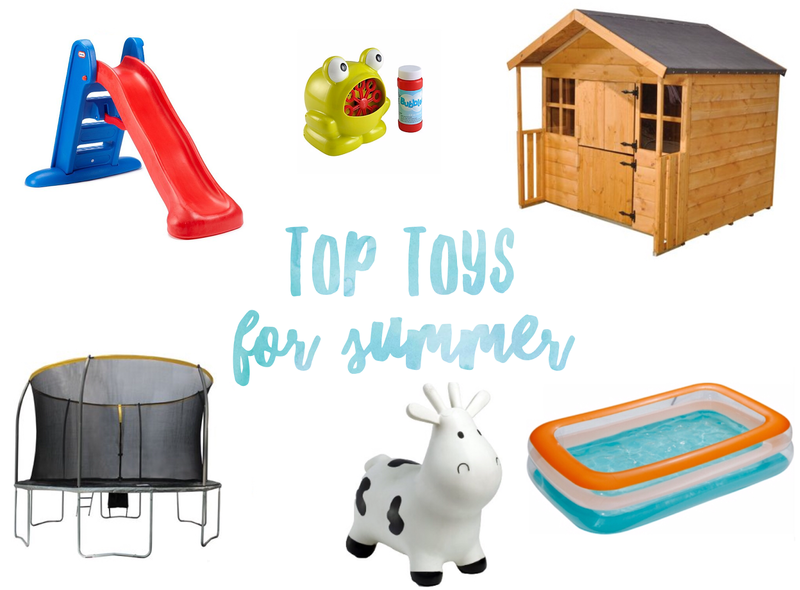 As we're now technically in Summer, I thought I would share some of my top Summer toys with you. My picks above are suitable for various ages and will be perfect for when the children are playing in the garden (when we finally get some sun that is!). We have a couple of the items above (or similar) ourselves and a few of the items I would love to purchase for Sophie at some point, as I know she would love them. Especially the trampoline, playhouse and bubble machine (as who doesn't love bubbles?!). I've linked the items below if you wanted to know where to purchase them from. What are your children's favourite outdoor toys? Yessss, great list!! Love all of these! The trampoline gets daily, sometimes hourly, love at our house :) Hopefully before the end of summer we will have a cute little playhouse set up for the littles, too! Great list. We have a playhouse which my daughter loves, and anything with bubbles is always a winner! Fab list, I would have loved the wooden play house when I was little. The slide is cool too and the trampoline.